We’ll admit it. We’re not super shy about sharing how great Keystone Resort is. We have a mountain to shout from and we like to use it. But we’ll also admit we love it even more when you share all of your great #KeystoneMoments with us. And now’s your chance to use your outdoor voice as if you were shouting it from the mountaintops and vote for Keystone Resort as the Best Ski Resort in USA Today’s 10Best Readers’ Choice contest. Keystone is a contender for Best Ski Resort among 20 other resorts in North America and voting is open now through Monday, Nov. 20. You can vote up to once a day, every day, for the duration of the contest here: http://www.10best.com/awards/travel/best-ski-resort/keystone-resort-keystone-colo/. Maybe it’s our more than 3,000 acres of skiable terrain including three incredible peaks, five above-tree-line bowls, night skiing and an in-bounds cat skiing program that have you casting your Keystone votes. 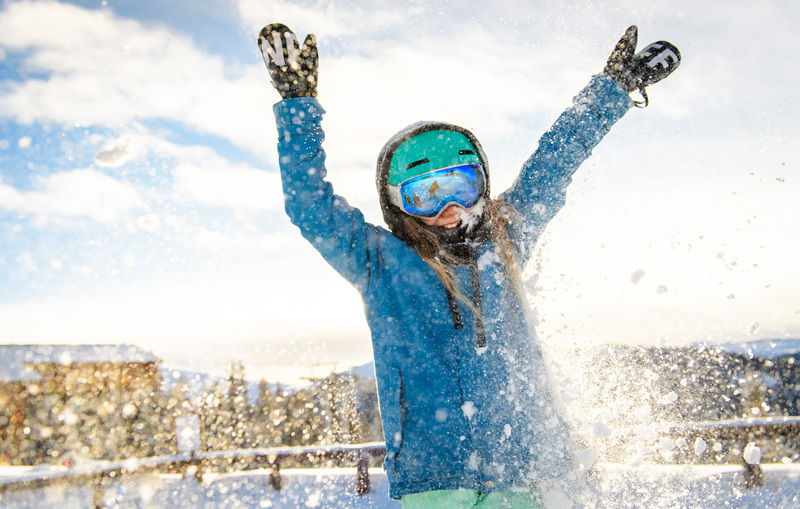 Perhaps it’s because we’re home to the industry’s leading Kids Ski Free offer, where kids 12 and younger can ski and ride for free every day, all season long with just two or more nights of lodging booked through the resort, no blackout dates. There’s always our signature Kidtopia lineup, where activities such as the village parade and fireworks, family game nights, hands-on-learning activities, ice cream parties and meeting Keystone’s Ski Patrol rescue dogs are free every single day of the season. Could it be because Keystone’s Ski & Ride School showed you how to slide down snow on skis or a snowboard for the first time? Have you viewed our Saturday night fireworks during Keystone’s night skiing? Does our snow fort, of which we happen to think is the largest in the world, make you feel like a kid again, regardless of your age? Do you know Keystone so well, you’d be telling us where the best powder stashes lie? Whatever reasons you may have, and we not-so-secretly hope there are a lot, if Keystone is at the top of your Best Ski Resort list, then please take a moment from those internet cat videos and go ahead and vote for us today. And again tomorrow. And the next day too! We’ll even help with your daily calendar reminders, if you’d like.